Yes, I got to play tourist for a day because my friend came to visit from Vancouver. So often life gets complicated, even in Paradise, and the only time one stops to “smell the roses” is when a visitor comes to town. 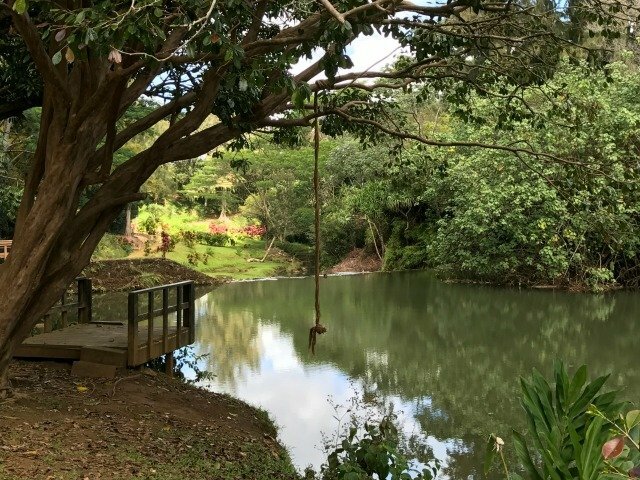 I try never to take the beauty of Kauai for granted but, often, I don’t take time to visit some of our wonderfully scenic spots unless I’m acting as a tour guide. 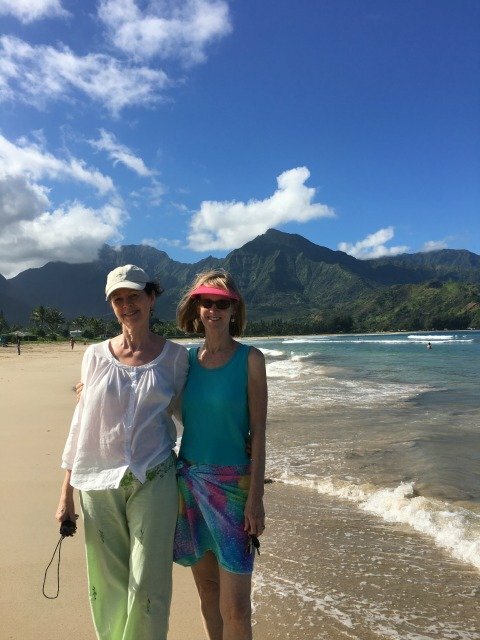 The weather was perfect for a walk on Hanalei Bay. There was a slight ocean swell so some people were getting their first chance to try out surfing. Others were bouncing in the surf or building sand castles at the water’s edge. It was Spring Break so there were a few more people than usual this time of year. 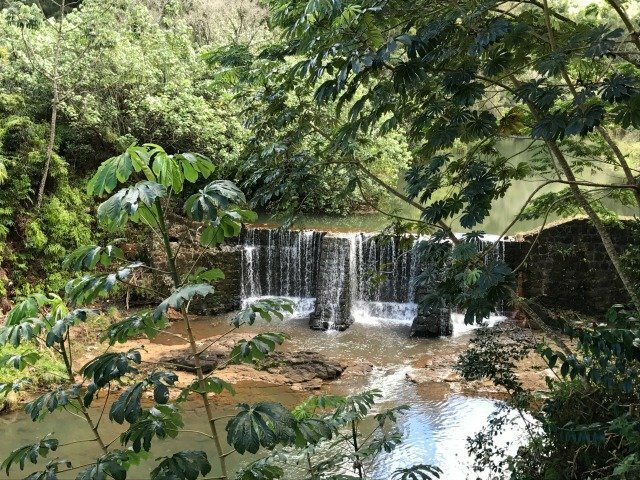 I wanted to take my friend to the Stone Dam on the Wai Koa Loop Trail. We weren’t up for hiking the 5 mile loop which takes about 2.5 hours so I parked at Common Grounds (at the end of Kuawa Road) in Kilauea and we took a short walk to the Kilauea River. This private property is open from 8:00 to dusk. The owners would like you to sign a waiver which can be done at the Mini Golf in front of another entrance to the walk/bike ride loop. After our walks it was time for lunch and anytime I’m around the Kilauea area my favorite place to eat is Kilauea Fish Market just off Lighthouse Road. 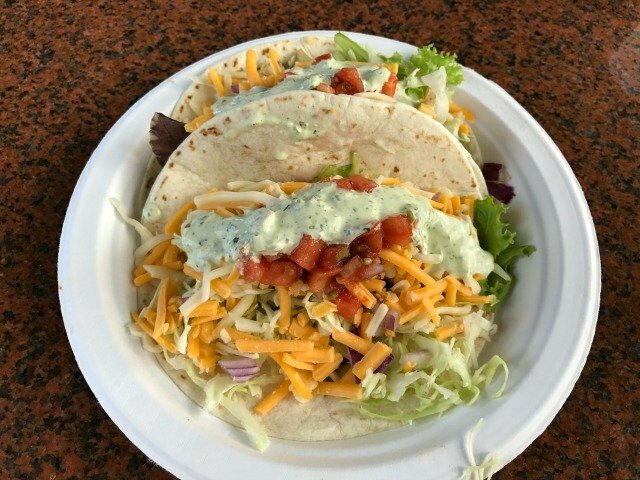 There one will find the best fish tacos on island as well as delicious wraps and salads. 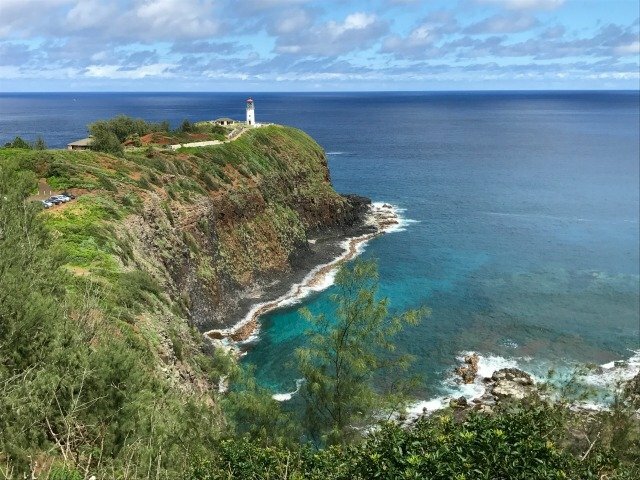 From there it was an easy ride down to the Kilauea Lighthouse to watch the seabirds and whales on this gorgeous March day. 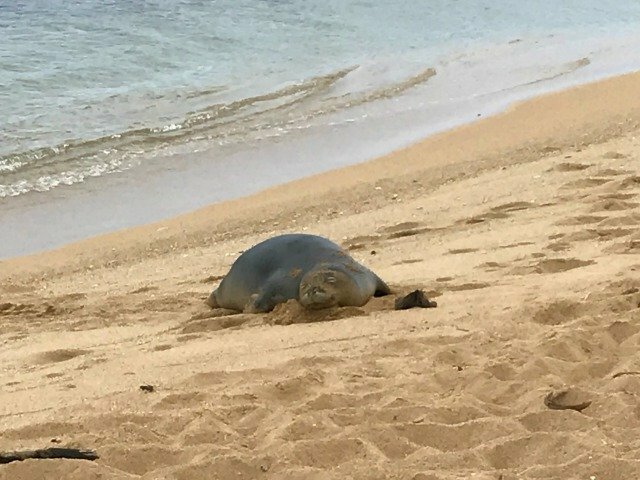 I had an appointment in Kapaa so we drove the 30 minutes to get there and then afterwards we stopped off at Baby Beach only to find this guy coming out of the water and up onto land for a rest. This is a Hawaiian monk seal and they are on the endangered species list. It’s always a treat to witness one at the water’s edge. Back on the North Shore we went to our vacation rental, Honu Point, for a swim in the 83 degree pool water. Fortunately there were no guests booked for a couple of days so I got to show off the home and property that my husband and I have worked so hard on for the last three years. 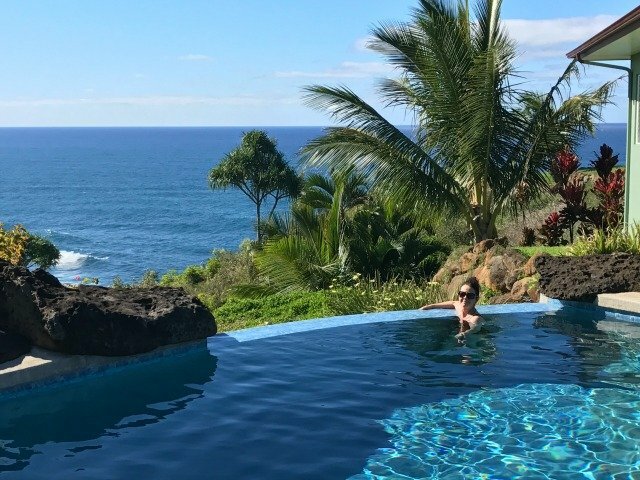 The white water views from the infinity edge pool are pretty nice, I must say. Wow! Rae! You showed her the absolute perfect day!! Loved all those spots and am still craving those amazing fish tacos!! You are the perfect, and nicest, tour guide! 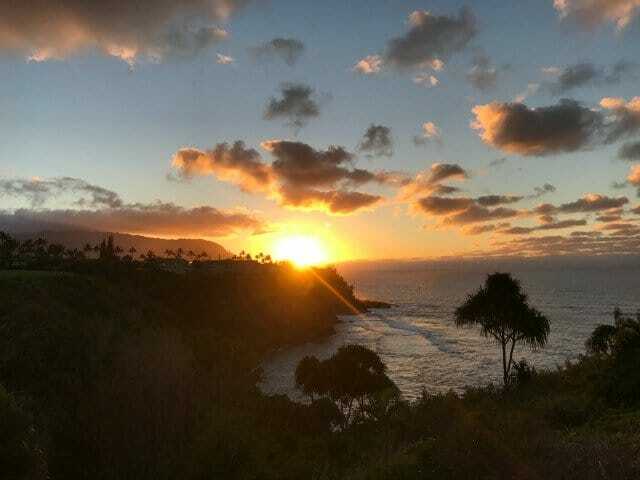 I want to come back soon! !